When it comes to staying in central London, there are many fine five-star hotels, so it takes a lot for one particular place to stand out. However, the Royal Horseguards Hotel really does just that. If there was any doubt that this was an exceptional hotel, just ask the Forbes Travel Guide. That publication does not recommend places lightly, but it speaks in glowing terms about this magnificent institution. Similarly, it has received TripAdvisor’s Certificate of Excellence in each of the last five years and is in the Conde Nast list of the top 35 hotels in the British Isles. Of course, nobody has to take someone else’s word for it. The experience of staying here is a truly wonderful one that will live long in the memory. Just to peep at the hotel is to establish that it is something special. 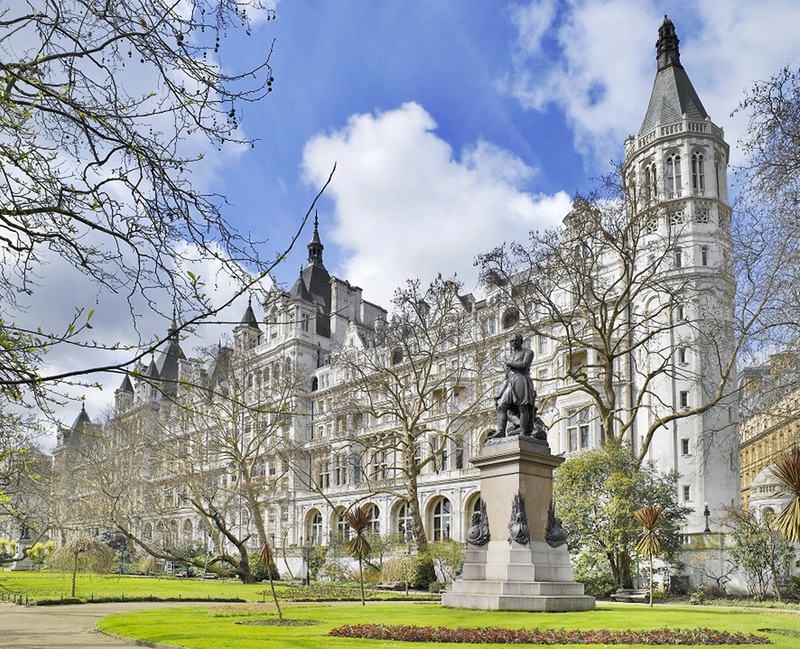 The building is a magnificent white-fronted Victorian edifice with spires, towers and turrets, looking more like a fairytale castle than a hotel. Its location by the Thames provides a superb panorama across the river to the London Eye and the interior has been exquisitely refurbished, matching 19th century elegance with contemporary style. It is also a building with a rich history. The hotel was the headquarters of the British Secret Service in the First World War and this fact is marked by the English Heritage Blue plaque at the front. The rooms are large, sumptuously decorated and furbished, and immensely comfortable. But staying here is not the only great treat people can enjoy. Afternoon Tea is served daily in the Tower Suite, a room with a superb 270-degree view towards the river, and those planning a superb meal can try dining at the award-winning One Twenty One Two Restaurant – named after the dialling number for the hotel’s former neighbour Scotland Yard. It is as good as that found anywhere in London. There is also free Wi-Fi throughout the hotel and a bar that serves cocktails named after famous people who have stayed at the hotel, ranging from George Bernard Shaw to Winston Churchill. In short, this really is one of London’s very finest hotels.